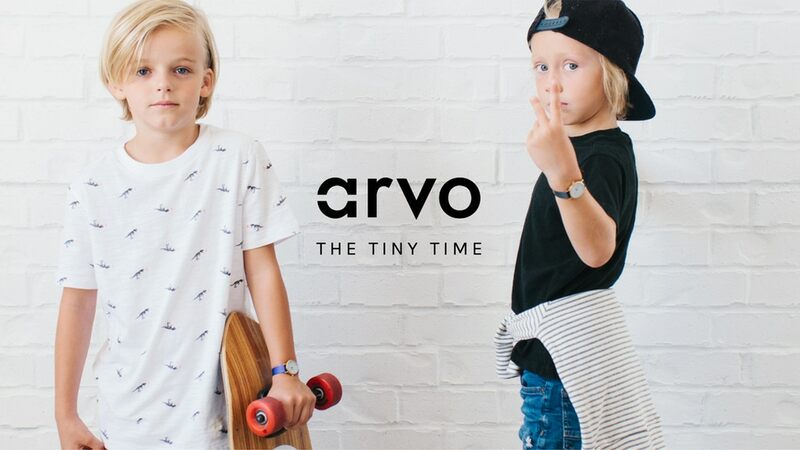 Arvo is a family owned business and their Tiny Time Watch line of products started when they were looking for a suitable watch for their son. They did not find any and therefore decided to make one themselves. The minimalist, stylish watch which is now the Tiny Time Watch was then born. This review focuses on the Tiny Time Watch that has been developed over the years to become one of the best kids watches in the market today. To get a kid to wear a watch even for a day can be a tasking ordeal. The watch needs to be really comfortable for them. They have small wrists and a big watch can get in the way. Also, kids will always be playing and exploring which can expose the watch to elements that can destroy it. It is therefore important also that the watch be able to last and take the blunt that it will be exposed to. While the kids engage in their activities they lose themselves in it and therefore safety is an issue for every parent. Kids watches should not expose them to dangers by having sharp edges or materials that can cause harm to them. The watches should not expose them to dangers by having sharp edges or material that can cause harm to them. The watch should also be easy to read and should help the children learn how to tell time quickly. 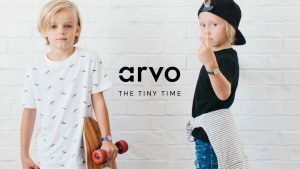 This review helps you to the device whether the Arvo Tiny Time watch will be able to meet these and many more characteristics that are essential for kids watches. Kids watches should not expose them to dangers by having sharp edges or materials that can cause harm to them. The watches should not expose them to dangers by having sharp edges or material that can cause harm to them. The watch should also be easy to read and should help the children learn how to tell time quickly. This review helps you to the device whether the Arvo Tiny Time watch will be able to meet these and many more characteristics that are essential for kids watches. 25mm case – the casing on the watch is only 25mm in diameter. This size is the perfect size for kids because it allows them to read the dial easily. 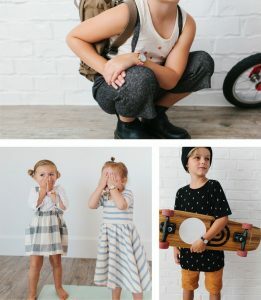 The size is also favorable because it fits perfectly on the wrists of the kids. It is not too big to get in their way or too small to just seem awkward when on their arm. Velcro straps = The watch comes with Velcro straps that easily come off when the watch is caught on anything. This ensures that the children are not harmed ensuring their safety. The straps are also adjustable and therefore the child can have the watch for long. Changeable straps – the straps of the watch can be changed easily so you can pick the size and the color that you want for your child. 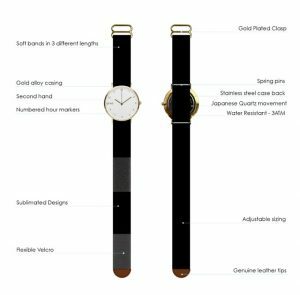 Different strap lengths – the straps come in two different sizes with one being 170 mm in length and the other 195mm in length including the case of the watch. This ensures that the kids can enjoy having the watch for years to come. Hardened mineral glass – the face of the watch features a hardened mineral glass which means the watch can take the blunt it will be exposed to as the children play outside. Gold finish – the gold finish on the watch keeps it looking stylish and conceals the scratches if any keeping the watch looking crisp for long. Leather ends – the velcro straps come fastened with genuine leather pieces at the ends. These pieces help to prevent the Velcro straps from fraying with continued use. Numbers hour makers – the dials have numbers clearly indicated. This helps the children to easily learn how to count and tell time. Stainless steel case back – the back of the watch is exposed to moisture on the hand and water which can cause it to rust. This is why this casing is stainless steel made. Japanese Quartz movement – the Japanese Quartz movement is one of the best quartz movements which is also very accurate. Second hand – the kids are also able to tell time down to the second using the second hand. Minimalist design – the design of the watch minimalist which makes it fashionable and classic looking. Besides that, the design brings the attention of the kids to what is important on the watch which inside the dial, therefore, they learn how to tell time quickly. The review would not be complete without indicating some of the downsides of the watch. The 3atm water resistant does not make the watch suitable for activities such as swimming, fishing and other such activities that the kids could be involved in often. Such activities may cause damage to the watch. The velcro material used in making the straps is not as durable and as stylish as leather would be. Also, the straps come off from the clasps easily which can cause the watch to fall off easily which means damage. The Tiny Time is available on Kickstarter at $50 and $70 with three bands. The watch comes with a one year warranty that covers defects in materials and craftsmanship. You can check the latest price and availability via the link below.